July 11, 6 - 9 pm, Green Grant Writing Workshop. Downtown Cincinnati Library, 2nd Fl. grant computer station. Plan, research and write environmental grants. Send us an email to register. July 13, 9 am Streetcar Community Meeting - Christ Church Cathedral at 318 E. 4th St. room 301. Email Brandy Jones at bjones@go-metro.com for more information. July 19, 5:30 pm - 8 pm Civic Garden Center Garden Tour. Bus departs from CGC. Reservations include bus transportation and dinner-by-the-bite. Learn more. 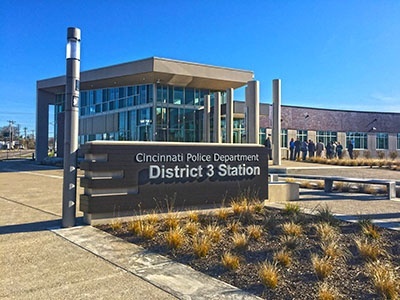 District 3 Police Station Community Room. 2300 Ferguson Rd, Cincinnati, OH 45238. Learn more. The local USGBC Chapter worked with the local MLS, Multiple Listing Service, to include a questionaire on a home's sustainable features. This is a free event but you must register. Seating is limited! We're promoting sustainable home tours and events in the hope that a community of passionate individuals will come together to help each other create green homes in the Tri-State and support the Southwestern Ohio Chapter of the U.S. Green Building Council. The next tour is September 17, 2016 at the Whitney Residence in Anderson.Learn more. The tours are free to Cincinnati USGBC Chapter members (you can bring a guest), join the Chapter. Non-members are asked to make a suggested donation of $15 per person. Contact Chair Chuck Lohre to receive reminders or register for any of the tours, Chuck@Lohre.com, 513-260-9025. 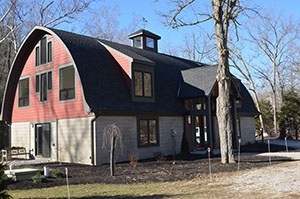 The 2016 Tours are sponsored by The Sustainable Partnership of Cincinnati, a group of businesses offering sustainable products and services to create sustainable homes and offices. Learn more at www.tspcincy.com. Share this email on your social media, by clicking the links below, and get raffle chances to win a Friday Day Pass to an epic celebration at Greenbuild Oct. 7, 2016, including Wednesday and Thursday Expo passes: Iconic Green in Los Angeles, California, https://greenbuildexpo.com. A $225 value for non-USGBC members.